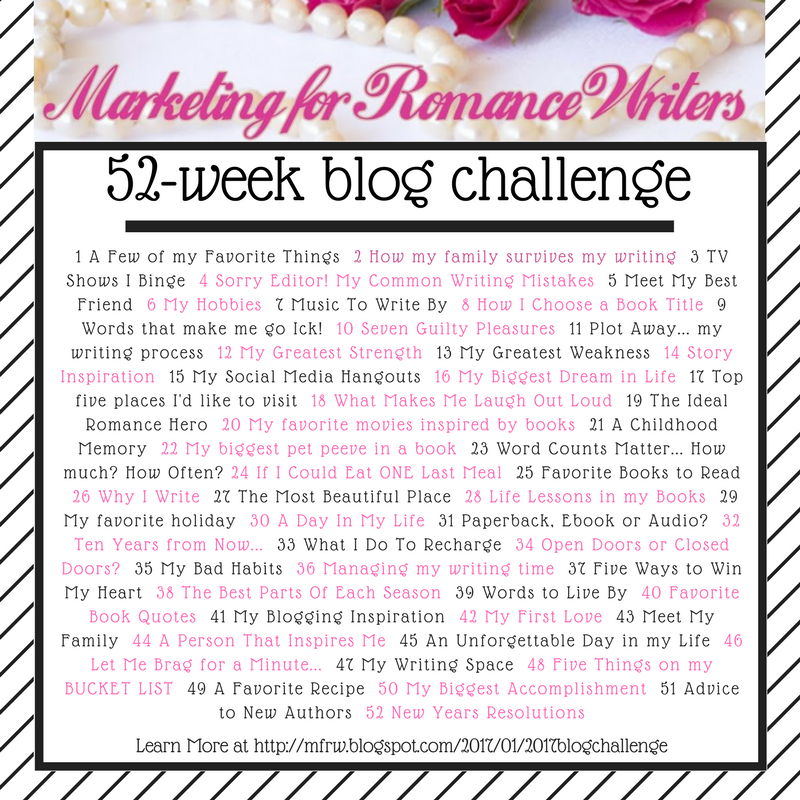 This week’s MFRW blog hop post – week 49 – A Favorite Recipe. Being a lifelong foodie, my recent dietary changes have eliminated a lot of my favorites. It’s hard to choose just one, so I will give you a few categories. Sherri’s Secret Salad – a lady at our church (Sherri) prides herself on this salad. Everyone loves it, including me. She has sworn the recipe to secrecy so that you will buy the bottled dressing from her. The funny thing is, I wasn’t aware of that when I first tasted her salad and copied it. I can generally figure out a recipe by taste most of the time. I figured it out pretty closely, but alas it has sugar in the dressing so I have to figure out something else. Combine dressing ingredients, whisk together and pour over salad. Toss gently and serve. Guess it’s not a secret anymore, but I can’t guarantee that is exactly the recipe she follows. Yeast rolls – I make homemade yeast rolls every year for Thanksgiving and Christmas and occasionally other times in the year. I can’t have any, but I still make them for the family. White bread more than other bread sends my blood sugar soaring, so I have to bypass. There is just something satisfying about kneading bread. I follow the Betty Crocker recipe in an old tattered book that I received as a wedding present 32 years ago! I’m sure you can find it online, look up dinner rolls. red potatoes – scrub them, cutting out eyes and any bad spots. yellow onion – cut into coarse chunks and separate. Put into large bowl and drizzle generously with olive oil. one stem of rosemary leaves, rake leaves off of stem from tip to base. Fresh is best, the dried is like eating twigs. Roast in oven at 375 for about 40 minutes. Lasagna – I’ve often had requests for my lasagna. I don’t have some guarded family secret. I use ingredients from Aldi – the secret is in the seasoning. Find the Betty Crocker recipe online – when you make your meat sauce, add a little more garlic, some additional Italian seasoning, and fresh basil. If there’s any secret, that is it. Basil is amazing. Tonight, in fact, I am making lasagna. However, since pasta is on my no-no list, I am making zucchini lasagna. This is tricky to an old-fashioned pasta fiend such as me. Instead of lasagna noodles, buy 3 to 4 zucchini. You can peel or leave the skin on – your choice. I peeled mine so it wasn’t such a shock to the family. Cut the stem end and bottom end off. Slice lengthwise into thin strips, so you have long skinny lasagna “noodles”. Have your pan of boiling water at a full boil before dropping them in, and you only want to parboil them, then drain on a paper towel. Otherwise, they end up mushy and the only thing worse than mushy is gooey. Everything else is the same in the recipe, except I omit the pinch of sugar I normally add to my marinara. Add a little parsley to cut down on indigestion if needed. I’ve only tried this with the lasagna once before, so let’s hope that it works! My all-time favorite dessert – brownies, just aren’t’ the same without sugar. I’m still searching for a palatable sugar-free alternative. I’ve tried a dozen or so paleo, sugar-free, carb free, and otherwise craptastic recipes. Most have ended up in the trash. So, since you, my wonderful readers aren’t restricted to a no sugar diet, I will share the full recipe that I have always used. This recipe has won baking contests! Preheat oven to 350 degrees F (175 degrees C). Grease and flour an 8-inch square pan. In a large saucepan, melt 1/2 cup butter. Remove from heat, and stir in sugar, eggs, and 1 teaspoon vanilla. Beat in 1/3 cup cocoa, 1/2 cup flour, salt, and baking powder. Spread batter into prepared pan. Bake in preheated oven for 25 to 30 minutes. Do not overcook. Remember to leave a comment to be entered into the prize drawing for the week! You might try spaghetti squash as a substitute for real spaghetti. We sometimes have that when we’re making an effort to eat fewer carbs. Thanks for sharing those recipies! The problem with all the recipes is that they have salt and/or sugar. Still, we’re having lasagna for Christmas dinner. The cook always loads it up with extra meet to help offset the carbs. Thanks for sharing. Sorry, didn’t mean to impugn your recipes. I meant all the recipes that I love to eat. I”m going to make them the regular lasagna in a smaller pan and attempt the zucchini in a small square pan for me, so that if it’s not any good I won’t be wasting as much food. I tried yet another recipe this weekend that is similar to my old standard, but it ended up tasting like worm dirt. BLECH! I have lots of favorite cookie recipes, but for brownies, it’s hard to find a recipe that is as consistently tasty as Ghirardelli box mix. There, I said it. Of course I haven’t tried YOUR recipe yet! FAir enough! IF I could still eat sugar, I would have to agree. First, because why mix it up from scratch when I can buy the box and do it in half the time. HOwever, trying to find a recipe that is sugar-free is like trying to make a pecan pie without the sugar. I’ve thrown three pans worth in the trash because it was like worm dirt! Mwahahaha! I cannot swear that my interpretation is exactly her secret recipe, but it sure tastes the same to me and the fam! I absolutely love using zucchini for noodles in lasagna. It is better than regular lasagna. I make it easy on myself and coin them . Tastes the same! Also kudos for the salad recipe. Have you tried making it with Stevia and honey? Ellie, Your recipes look and sound delicious and looking forward to trying those brownies!!! I am new to blogging and wondered if you would look at my blog and give any suggestions you might have??? I am just getting my feet wet. Actually kinda lost!! I took a look and subscribed. For just getting started, I think you are on the right path. IF you have the desire to blog, then do it. You write what you want to write. IF you want to post pictures, post them. IF you want to share fiction, do it! IF you want to write about the roles in your life – do it. I tried to stay on task with one topic, and . . . well, . . . that didn’t work. I write what I want when I want and when I can. I’m eternally grateful to those who read my posts and one of the biggest thrills is when I get a notification that I have a new subscriber! I will be smiling for hours. Feel free to contact me on FAcebook, that’s the easiest way I can think of to discuss blogging and whatever else. Thank you so much!! I will get with you on Facebook!!!! I so appreciate your input!! And I know what you mean about new subscriber!! I looked but couldn’t find you on facebook…. how are you listed?